A nice silver Sockeye salmon! The Sockeye salmon is arguably the highest sought of the five species of pacific salmon. Their deep red rich flesh is highly desirable among fisherman and food connoisseurs alike. Sockeye range in size from 5 – 10 LB’s with the odd ones coming through at upwards of 15 LB’s ! Fraser River Sockeye fishing is unique. It is an abundant fishery where retention of fish is usually permitted and this is a good thing. There is nothing better than enjoying a fresh sockeye, which you actually caught yourself, with family and friends. Unlike other salmon species however, the consensus seems to be that Sockeye salmon rarely feed or strike at lures once they begin their freshwater trek through the Fraser. This behavior limits successful fishing techniques required to catch them so, if you want to increase your odds of latching into any of these delicious creatures then you’d better learn how to bottom bounce sockeye salmon. Rods: A fairly sturdy rod from 9-11 feet in length will suffice. The rod should have a 20–30 lb line rating and be able to cast 1-4 oz weights with no problems. 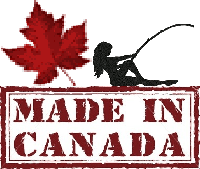 There are many different brands and models to choose from including spinning, mooching, and casting rods, from companies such as Trophy, Shimano, Ugly Stick, Diawa, Quantum, and many more. Prices range from $50 – $250 and of course include a wide range of quality. It’s all about personal preference and cost so try a few out and then buy the one that feels best for you within the price range that you’re willing to spend. Reels: Bottom bouncing for Sockeye does not require as big a reel as that used for Chinook but still needs to be capable of throwing up to about 4 oz. of weight. The reel also does not need to hold as much line as that used for Spring salmon but it can’t hurt either. Companies that make reels suitable for bottom bouncing are Penn, Abu, Shimano, Quantum, Okuma and many others. 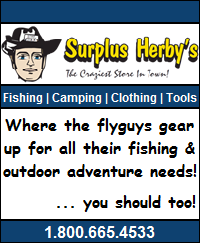 All of these reels are a bit different so, like the rod, you are going to have to try a few and see what you like and then buy the one you like the best within your price range. *With the both the Rod and the Reel remember that you get what you pay for so better to save a bit longer for better gear than buy something right now just because it’s a bit cheaper. If you buy quality stuff it will pay for itself many times over! Line: Use a minimum of 25 LB main line. Mono is OK but braided line is prefered. If you go with braided you can up the break strength to 50-65 lb and still get enough on the reel as it is much thinner than mono at the same weight. Brands such as Spider Wire, Power Pro and Tuf line are all good and will do the job just fine! Leader / Main Line Connection: This simply consists of a 3 way swivel with a weight rating high enough to hold a Sockeye salmon – size 4’s are a good bet. Leader: Again very simple, the leader used for bottom bouncing should be lighter than your main line and about 8-12 feet long. If using a 50 lb main line then 20-25 lb mono will work well for your leader. There’s a lot of good stuff out there so shop around. Good quality, abrasion resistant mono is what you are looking for and is what will give you better odds of landing your fish! *When dealing with long leaders such as this WATCH YOUR LINE! Casting long leaders on a popular Sockeye river like the Fraser is dangerous. Sharp hooks hiding under water can easily cut through a leg or head or any body part with ease so be very careful and observant of what and who is around you while casting. Ouch! This guy wasn’t watching where his hook was before casting! Hooks: Sockeye fishing does not require as big a hook as Chinook fishing but you still want something big enough to hook through the mouth and strong enough to keep its shape through the fight – Sockeye are very strong fish! Gamakatsu in size 1/0 – 3/0 are good bets. Remember, if they are barbed pinch them off or simply purchase them barbless to begin with. Weights: Weight size will depend on the speed and bottom structure of the water you have chosen to fish. You need a weight size that will just touch the bottom while moving your rig through the water – too big and you will hang up and too small and you won’t get a bounce (or be near enough to the bottom). 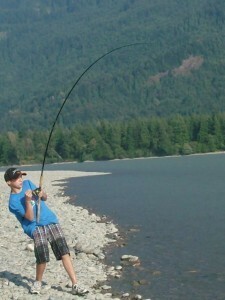 On the Fraser River’s fast moving water 3 – 4 oz of weight may be required to get the right bounce. On the other hand, slower water may only require 1 0r 2 oz of weight to do the job. You will need to experiment until you find the right weight for the job at the time. 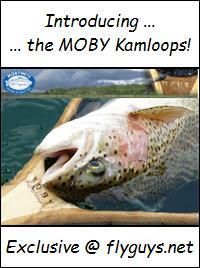 As for type of weight the typical Fraser River slug the “bouncing betty”. Lure: Beads/Wool in different colours or a combination of both. The terminal set up consist of the top loop of a 3 way swivel attached to the main line, with an 8-12 foot leader, ending with a hook tied to the middle loop of the 3 way swivel, and a weight (Betty) attached to the bottom loop of the 3 way swivel. I know that sounds complicated but just check out the picture to the left for a much clearer explanation. 1. Know the rules before heading out. All the necessary information, including a species identification chart, is in the regs so read and understand it all before you head out. 2. Treat everyone on the bar as you would like to be treated. 3. Spread out. If the bar is full then either wait for an opening or go somewhere else. 4. Never cast your line on top of another anglers line. Doing this will almost always result in a snags & tangles with the other person. 5. Always cast upstream but no higher than the person above you. 6. The person who is downstream should always cast first. This prevents lines from crossing and almost eliminates the potential of snags with other anglers. It also helps keep the casting flow going. 7. As you are reeling everything back in after your drift, keep your line and hook clear of people’s legs that are in the river. If you are getting close to people when reeling in then chances are you have over drifted. Shortening up the drift will solve the problem. If you think that you have a Chinook on – usually indicated by a big head shake followed by the immediate stripping out of a lot of your line, then shout “SPRING ON!” and start moving with it down the river if you have to … and you usually always have too. If you think that you have a Sockeye or something else on, then shout “FISH ON!” so the people around you know what’s going on and can get there lines out of the water if need be. Typically, you should be able to bring a Sockeye in from where you are but it’s always nice to let people directly around you know what’s going on so don’t be shy. 9. If you are an inexperienced angler, or are fishing with inexperienced children, then crowded conditions are not your best bet. Try to find a spot clear of other people until you are confident in your casting/retrieving abilities. When sockeye are open for retention in the Fraser the river is usually full of them so finding a place where you won’t get your self in trouble should not be an issue. Bottom Bouncing Sockeye Salmon | Caring for Your Catch ..
Once you have caught a Sockeye and have dispatched it, cut or pull out a gill from both sides of the fish to allow it completely bleed out. Bleeding stops any bruising and improves the quality of the meat. As soon as the fish has finished bleeding, clean or dress it and immediately store it on ice in a cooler. We have seen many Sockeye stored unbled and uncleaned on the beach or in the shallows by the beach basically rotting in the sun. This is such an unnecessary waste! After all the effort and expense it takes to go fishing, it just makes good sense to make sure our catch comes home in the best condition possible. So that’s it … how to bottom bounce Sockeye salmon. Good luck and have fun! 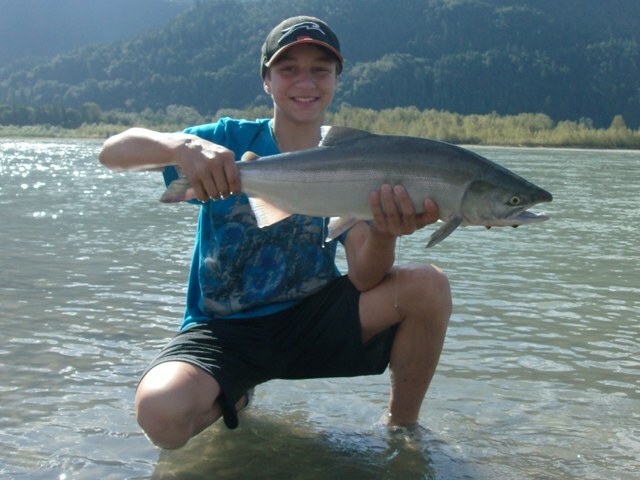 This entry was posted in River Run Salmon Fishing and tagged Bottom Bouncing, Flossing, Fraser River Salmon Fishing, How To Fish For Sockeye Salmon, Lining, River Fishing. Bookmark the permalink. Great catch , such great fish you have. I wanted to catch fishes its looks fun. I see the photos it seems like an adventure. 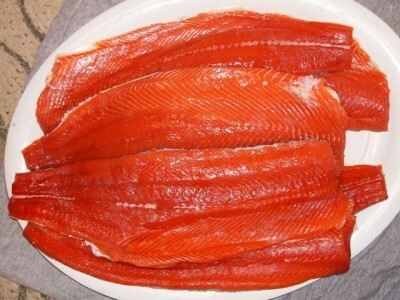 And I also see the sockeye salmon its look like delicious, its better to grilled it superb food.